A companion pet, considered to be a member of the family, brings immeasurable love, joy and happiness. When a beloved pet dies, the loss of that devoted friend can be devastating. Pet parents often seek the same level of care, with respect and dignity for their pet, as they would for their human family members. Unfortunately, for decades and still to this day, there is a significant lack of Federal and State regulations in place to guide and oversee the operations of pet funeral and cremation providers. With this lack of oversight, unethical practices can and do occur. Service levels, operational practices and standards vary greatly from pet cremation provider to pet cremation provider with no assurance in quality. Not only is this extremely concerning but it is very challenging for pet parents to find reputable pet cremation providers that will care for their deceased pet with the respect and dignity their companion deserves. As North America’s largest provider of pet funeral and cremation services, Pet Passages® is the name families and veterinarians turn to for professional and compassionate end of life pet care. Designed by the founder, each Pet Passages® location is individually owned and operated so that the focus is on you, the pet parent, and not the stockholders or investment partners. So, the Pet Passages® brand is your assurance of exceptional professionalism, quality, and value, in addition to unparalleled customer care and satisfaction. Our licensed affiliates and franchisees believe that creating meaningful ways to pay tribute to a beloved pet begins with compassion and an understanding that each pet’s life is truly unique. For us, there is no greater responsibility than honoring and preserving the story and memories of a family’s beloved pet. Pet Passages® is not an association, and therefore, we do not have an open membership to just anyone willing to pay dues. Each Pet Passages® licensed location is carefully screened for its commitment to quality regarding facilities, equipment, service level, and ability to meet the exacting standards that Pet Passages® sets forth. Each Pet Passages® franchise location must meet very specific Pet Passages® brand requirements concerning all operational procedures, facility amenities, interior design, furnishings, equipment, and vehicles. As a result, Pet Passages® can provide continuity of exceptional pet loss service from any one of our franchise locations! As the innovative leader in the pet funeral and cremation profession, we are very proud to say that we are now the only end of life pet care provider who can offer this high level of continuity to North America. Pet Passages® is the only organization that has an extensive training program which includes actual hands-on instruction of the proper techniques to ensure the correct handling, care, and cremation of deceased companion pets. All Pet Passages® affiliates and franchisees are immersed in our rigorous training program at Pet Passages Academy, and upon completion, they are recognized as Certified Pet Funeral Directors. Pet Passages® affiliates and franchisees utilize our comprehensive and proven Secure PassagesTM pet identification, tracking, and chain of custody policies and procedures that are designed to ensure peace of mind by guaranteeing that you will receive only your companion pet’s cremated remains. Pet Passages® also provides its affiliates and franchisees with an ongoing educational program designed to keep them the most highly trained and informed pet loss professionals. We have also developed the most advanced, state-of-the-art pet cremation software and technology available anywhere. 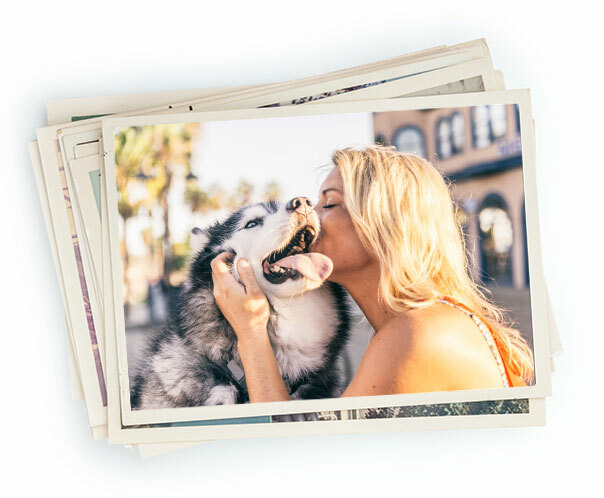 As an exclusive benefit to our pet parents, Pet Passages® offers Pet TalesTM, the only local and national online pet obituary system where you can honor and memorialize your pet using words, pictures, video, and music. Finally, Pet Passages® designs and manufactures its own product line of high quality, dignified pet memorial products – including urns, grave markers, and jewelry, as well as grief support materials – to help honor and commemorate the significance of the pet in the lives of pet owners.Pet Passages® is committed to the pet funeral and cremation profession, to the proper care of deceased companion pets, continued education and training, and to pet parents everywhere. Pet Passages® has gained the recognition and distinction as North America’s best-in-class pet loss provider. Pet Passages® is recognized as the leading authority within the pet funeral and cremation profession and not only has Pet Passages® met the above challenge, we are committed to our profession with our main goal being to constantly raise the bar and be the standard bearer of quality for end of life pet professionals nationwide. Following in the footsteps of my father and grandfather, I, Mike Harris, am a third-generation licensed funeral director. I worked as such in my family’s funeral home since 1993. In November of 2016, I decided to step away from the human side of my profession to focus exclusively on pet cremation and funeral services, where my true passion lies. 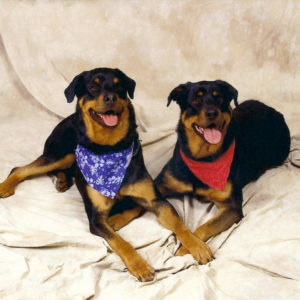 In the late spring of 2008, within a short two months, I lost my two best friends and family members, Rottweilers Luke (purple) and Hannah (red). Devastated by the deaths of my loving companions, I wanted to give my deceased pets the same love and respect in death as I gave them in life, just as it would be for any one of my human family members. As I researched and learned the options available to me in the pet funeral and cremation profession, I was extremely disheartened by the unprofessional treatment, lack of dignity and care beloved pets received upon their passing. Everywhere I looked I found the same unfortunate mistreatment. Having been given the gift of unconditional love, lessons in responsibility and true friendship, I knew that God gave me these dogs for a bigger purpose. My loss then became my dream and dedication. Given my education, training, experience and family heritage, I knew it was my responsibility to improve the quality of end of life pet care. I set out to gather as much information and learn as much as I could. In 2009, Pets at Peace by Harris Funeral Home was created. With the instant success of the new pet funeral home and crematory, I realized that with my business model, training and experience, I could help pet parents all over the country. In August of 2011, I created Pet Passages®, a company that has truly set the highest possible standard of dignified, quality care for the pet funeral and cremation profession. My love for animals, dedication to compassionate care and professionalism, combined with the latest technology and training has made Pet Passages® the absolute best providers of pet funeral and cremation services. Thank you, Luke and Hannah for your blessings of unconditional love, friendship, life lessons and inspiration! Love, Dad. Your pet’s story may be shared using words, pictures, video, and music and will be displayed on this national website for other pet lovers to view. Please feel free to page through our memory album below to read some of the tales shared by others. Franchising provides an owner with a proven system, comprehensive training, marketing support, foresight, concept, brand recognition, reputation, real estate advice, ongoing support, and much more.